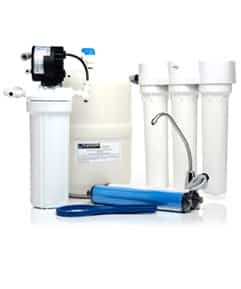 Aqua Systems of Southwest Montana can fix your household water problems with our line of water softeners and reverse osmosis systems. who shop us, buy from us. always a 90-day money back guarantee. Swappable parts. Great warranties. Affordable prices. These are just some of the ways our SmartChoice water softeners and PureChoice reverse osmosis systems take the hard out of water. The patented Aqua Systems SmartChoice water softener is designed with removable parts and smart technology for high efficiency, low maintenance soft water. The PureChoice reverse osmosis system is precision engineered to purify water at the molecular level without complicated hookups. At Aqua Systems our customers are the motivation to keep producing the best product offering we can. From making our SmartChoice water softeners and PureChoice reverse osmosis systems right here in the U.S.A. to a 90-day money back guarantee, we understand quality. We treat you like we want to be treated! We know pricing is important to you and your family so when you’re researching you want to know what something is going to cost with no hidden surprises. Every home has their unique water challenges, well water, city water, hard water, etc. so we want to make sure we’re customizing a solution that fits your specific needs. You can expect the following from an Aqua Systems team member. Because of this 9 out of 10 who shop Aqua Systems, buy from Aqua Systems. Save your appliances, improve your skin and hair and give your family safe drinking water. How is hard water costing you money? Hard water can be more than a nuisance. Discover the hidden costs of hard water by downloading our PDF guide. It’s is a great value for your money and it is nice to work with a local company with a great warranty. I would recommend them to my friends and family. Aqua Systems were personal very friendly, and responsive. Everything has been working great! We have called to replenish our bags of salt and they have been very punctual, carry the salt downstairs, and refill the softener if needed. They were professional and answered any questions I had. The unit works great and, so far, has been trouble-free. 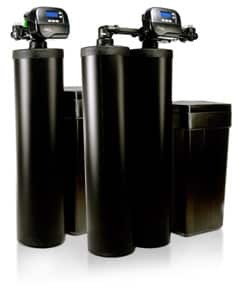 They will be my first choice for future water filtering needs. Below are the areas Aqua Systems of Southwest Montana services. If you don’t see your location, please call.